With the professionals that I coach, a challenge that often arises is, “I don’t have enough time,” or “if only I had more time.” We all feel it. We all know it. We are living in a state of feeling time deprivation. The reality, however, is that when we identify what is most important to us — and earnestly set priorities — we do find time for what is important to us. 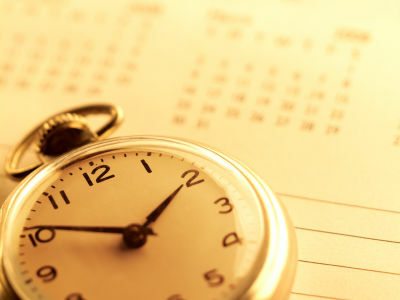 In light of the New Year, let us be reminded that we can all benefit by reevaluating our time management. Let’s create structure around these goals. We must commit to O.W.N. it! 1. Own Your Outlook Of Time. Jan Choze, In her book, “How To Train A Wild Elephant” succinctly states, “When we are in the present moment, there is plenty of time.” This quote underlines the fact that when we reform our outlook, habits, and practices, there can truly be plenty of time. 2. Own Your One-On-One Time. Be mindful of who receives the gift of your personal attention. Your success will directly correspond to how you ultimately spend your time and focused attention. Meeting prospects and team members for lunch and working individually is one way to build deeper relationships and connections with your team and/or colleagues. This process is vital to building a strong organization. Determine which activities can be handled in a group environment and which ones require your personal attention. 3. Work Your Plan – (Annual, Monthly, Weekly, Daily). The start of the year is the ideal time to create your annual goals. Break down your goals to determine what it is you want to accomplish. Make these goals attainable by adding traceable goal dates. Plot out your desired progress on monthly charting tools. Break down monthly goals into weekly steps. A weekly plan will help you visualize where you will use time and when you will take time off. Refine this list daily, so that you wake up ready to go. We hear this advice often, however, I am still amazed with how often I witness neglect for the planning part of the process. Map out your journey. The very act of transferring a goal from your mind onto paper makes it concrete and tangible at once. Recognize the value of setting up routines. Routines will set you free because once they are established, they require less thinking to implement. Identify the actions that lead to your desired results. Create new rituals and apply discipline. Schedule days in and days out of the home office. 5. Work With Phone Appointments. Ever since I began setting scheduled phone appointments, the quality level and effectiveness of my calls have gone up while my levels of frustration and stress have gone down. The difference in my previous approach to my new one is not subtle! Now I rarely speak on the phone without a scheduled appointment. This saves both parties from the time vacuum of playing phone tag. Treat the phone as you would a live meeting, and watch as this time becomes steadily more productive. 6. Work With Scheduling Appointments For Yourself. Whatever you wish to get done, make an appointment. When you honor the appointments you make with yourself, you build self-trust. You start believing in yourself and therefore your goals become achievable. This simple, organic process builds self-efficacy. Give each task a time slot. 7. Work With Taking Time-Off, Too. Schedule your time off from work at least two nights per week. Arrange your relaxation time around the completion of your work each day. To preserve your sanity, preserve just a little bit of unscheduled time each work day. Decide when to say “No” and then let it go. Recently I was with a coaching client and listened to her talk about how this year was going to be her year to grow. She put forth a very aggressive plan with specific targets to achieve. The only area she had not carefully considered is what will give in her already full life. She is a devoted Mom with two children and is involved in her their activities. After considering the goals, she set to improve upon her system and the needs of her children. She decided to ‘sitter up’. In other words, she decided that she could afford to have a babysitter around a little more so that she could pursue on some of her big potential clients. This decision came after considering that her children are now independent enough that she could take this step. My client described the joy in finally accepting the fact that she is not Superwoman and does not need to keep saying, “yes” to more and more demands, only to lie awake at night ruminating over how to get it all done. We are all super women… but we are not Superwoman. See the difference? It is just not necessary. I cannot do that, however here is what I can do. Although I cannot take on this project, request, et cetera, I may know someone who can… *Referrals are great way to keep this exchange positive for all relevant parties, and a great way to expand networking circles of services. Take time now to learn technology tools that will help to save you time in the future. For me, mastering Gmail and Google Calendars to the fullest has saved me heaps of time. In closing, I am reminded of a quote from a mentor of mine, Joe Hara, the former President of Tupperware Inc. “What we do right now will have a great impact on where we will be tomorrow.” Make time your O.W.N. and do it now! This will truly create excitement and achievement for the year ahead. Barb Girson, International Direct Selling Industry expert, trainer and coach, is a highly interactive, creative speaker & author offering professional skill development programs for workshops, retreats, annual conventions & teleclass training programs. To contact Barb, sign up for her FREE sales training teleclass and get her FREE Sales Strategies Ezine, visit http://www.MySalesTactics.com .